Have you ever wondered what Barack Obama would look like in a Native American headdress? Or Blue? Or with a giant eye in his forehead? No? 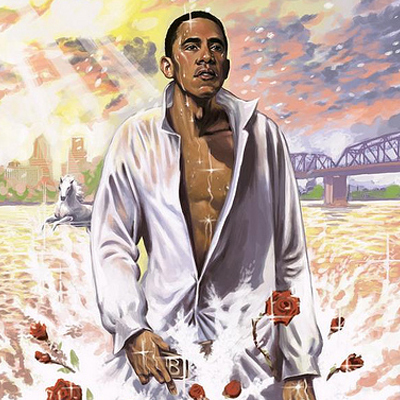 That's unfortunate, cause if you had the site badpaintingsofbarackobama.com could've solved these dilemmas for you. 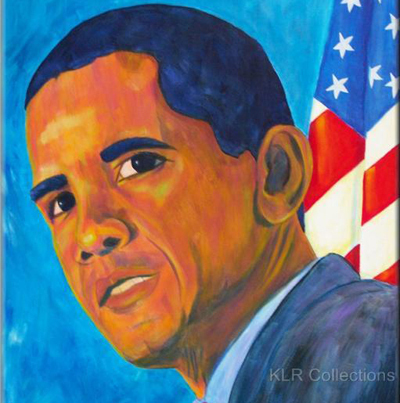 The folks behind the site have collected dozens of terrible, terrible paintings of our president and made a site that is essentially a single slideshow of them. 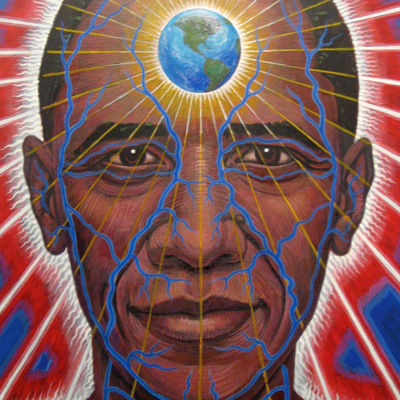 Barack Obama Is Responsible For The Entire World And Should Look Like It: Barack Obama is the sun, moon and earth. Rays of light eminate from his skull, and the world spins in his forehead. Also, his veins are our rivers. Barack Obama And "Different Strokes"-Era Gary Coleman Had A Baby And Named It Barack Obama: I think the title says it all, it's creepy, but adorable.